Denison has an extensive history of unique quirks and traditions that help make Denison what it is today. 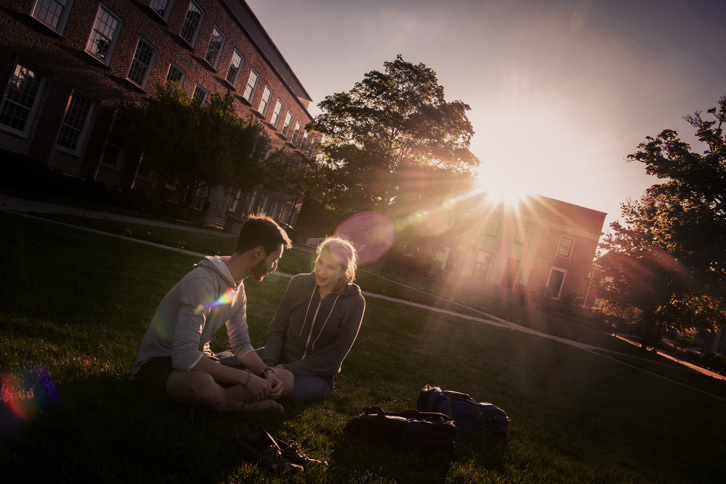 What follows is an incomplete list, in no particular order—just to show just how fun campus life really is. 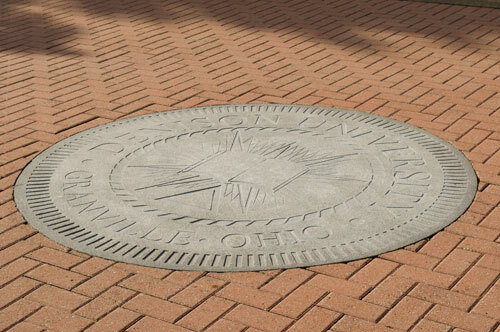 The story goes, if you step on the college seal embedded in Chapel Walk in front of Swasey Chapel, you won’t graduate. Students walk around it, bike around it, skateboard around it…you get the idea. Apparently going to college on a hill makes people want to climb mountains, with one in particular: Mount Denison. A 1909 alum named the tallest peak in Alaska’s Aleutian Peninsula after his alma mater, and now, every decade or so, a couple of Denisonians decide to climb it. Music’s a big deal here. As evidence: there are performance groups all over the place: a cappella, bluegrass, strings, gospel, the list goes on… Check out our Music Department to get an idea of how busy we are! The woodlands and fields have apparently made this a happy place for vultures. They circle the skies; sometimes we watch. You have to be here to understand. The library’s haunted, or so they say. It’s a cool old building; why wouldn’t ghosts want to hang there? A bagel, perfectly toasted and topped with smooth cream cheese and a healthy sprinkle of brown sugar. A late-night campus favorite. It’s downtown. Sooner or later, you gotta have it. It stands for Denison Day. For 65 years there’s been an annual concert, often a festival and games, and it’s usually a surprise that’s sprung on the students. Legendary OSU football coach Woody Hayes '35 got his start at Denison. His lucky horseshoe still adds good fortune to DU football teams today.